As the name implies we provide you a mansion with premium facilities. Casa Allay combines two different atmospheres, an ambience of a resort as well as a home. Casa Allay is located at the center of Cochin, very close to Lulu Shopping mall, business centres, hotels and hospitals like Aster Medicity, Renai Medicity and Amritha Hospital. It’s also conveniently near to Metro stations, Railway station, Airport and all tourist destinations. With the facilities provided we assure you a peaceful stay with utmost importance to personal relationships which makes us different. We have 3 fully furnished and well equipped A/C apartments with Free Wi-Fi and car parking facility. As the name implies we provide you a mansion with premium facilities. 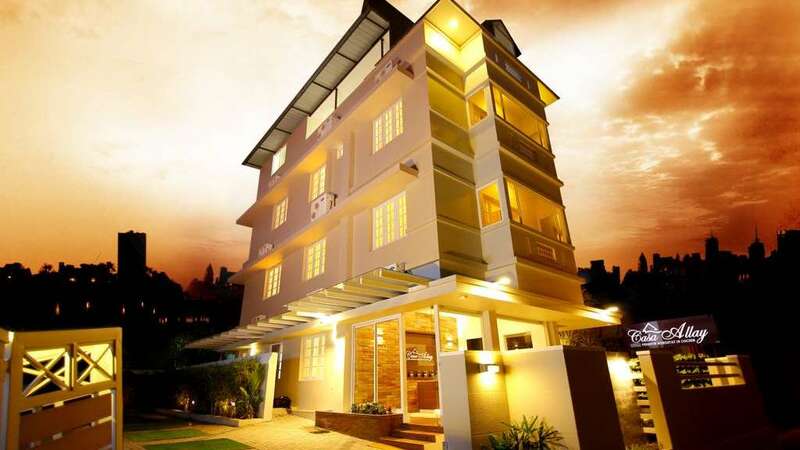 CASA ALLAY combines two different atmospheres, an ambience of a resort as well as a home a dream stay with widespread access to most of cochin's Hotspot Tourist Destinations..
We have 3 fully furnished and well equipped A/C apartments with Free Wi-Fi and car parking facility.